Awakenings by J.E. Shannon…Cover reveal!! 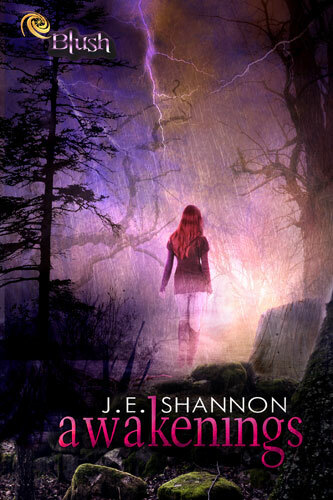 It gives me great pleasure to introduce you all to the gorgeous cover of J.E .Shannon’s, YA paranormal debut, Awakenings! Gorgeous, right??? And that blurb, *chills*!!! Don’t forget to add Awakenings to your Goodreads TBR and leave a comment below to let us know what you think!!!!! About the Author: J. E. Shannon currently lives in Florida, but is a Missouri native. She spends most of her time reading, writing, and taking care of her small child and two crazy dogs. or via her Twitter (@JEShannonauthor). Posted by bookishblurb on April 27, 2013 in Buzz and tagged JE Shannon.